Our most foundational beliefs shape the way we live and interact. At Eagle LifeChurch you will find that we are unified around four central beliefs. Humanity is depraved and in need of salvation. Jesus Christ is our healer and redeemer. The Holy Spirit is given to believers, in baptism, for power to witness. Jesus is building God’s church so that he can return to earth and make all things new. These are the sixteen fundamentals that detail our four central beliefs. WE BELIEVE…in The Millennial Reign of Christ when Jesus returns with His saints at His second coming and begins His benevolent rule over earth for 1,000 years. This millennial reign will bring the salvation of national Israel and the establishment of universal peace on earth. 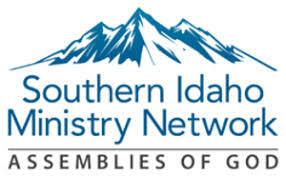 with the Assemblies of God, and Southern Idaho Ministry Network.